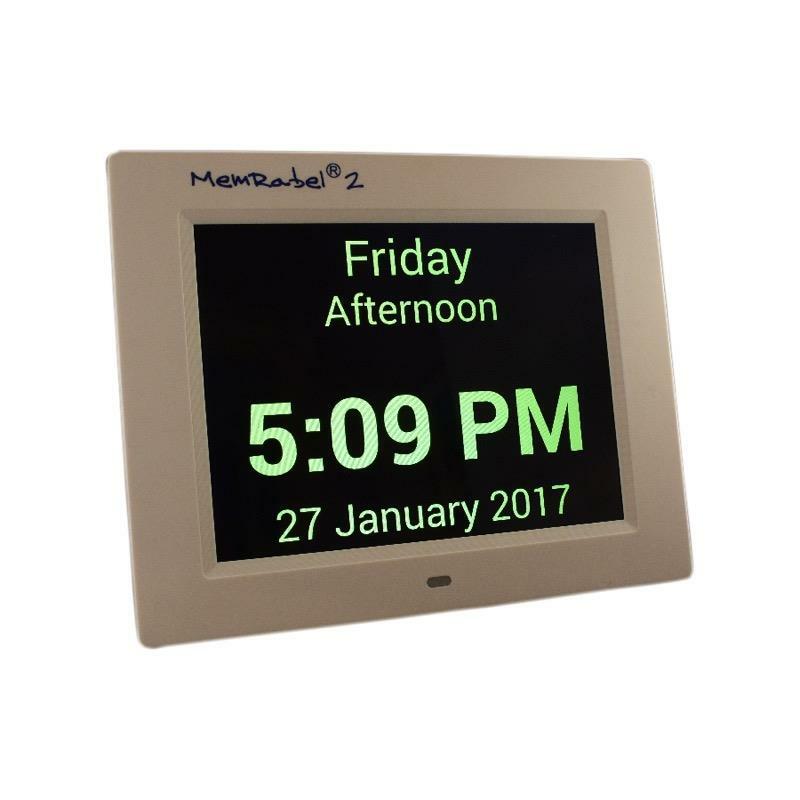 The MemRabel 2 Dementia Clock is a very effective solution for creating daily memory prompt alarms and provides the reassurance needed to help someone carry on living independently. It is ideal for people with failing memory or those with Dementia and Alzheimers. Family members or carers are able to set daily time reminders with accompanying voice, picture or video reminders. Up to 20 reminders can be set for daily, weekly, monthly and yearly playback. At alarm time the selected voice reminder with screen graphic or video is played back on the screen. This can be programmed to constantly repeat in intervals of between 5 and 25 minutes. The MemRabel2 is supplied with pre-installed audio, picture and video reminder files that are easily selected to create the majority of typical daily reminder requirements. You can easily create personal reminders from different family members with audio, photograph or video which can then be added to the MemRabel library and selected as the alarm of choice.